I'm sure you'll have the experience that when you go to the gym in high spirits (especially after 6 or 7 p.m.), you'll occasionally run into lines of equipment. Every gym has a peak flow, as long as it's in good condition. In addition to running outside, fixation devices, Dumbbells and Barbells are the easiest to take up training tools, if there are too many people in training, we take turns to do the same action, can lead to a group of intermittent too long, such not only a waste of time, but also affect the training effect. "Our low-odor rubber coated Olympic Weight Plates are ideal for home gym and light commercial use. The rubber coating helps prevent damage to equipment, while also reducing noise in your gym. Plus, our rubber coatings are made from virgin rubber (not cheap recycled tires) so your plates won't smell or leave a black residue on your hands. While our plates are perfect for traditional barbell workouts and functional training, the tri-grip makes them easy to use for tons of other exercises. Add weight to your situps, low back extensions, overhead tricep work, you name it. Our plates look great too! Tough rubber coating wont show dirt and the embossed logo and weight markings feature stylish red inlay." Three handles Rubber Coated Barbell Bumper Weight Plates, include Color Echo Bumper Plates, Olympic Bumper Plates, Bumper Plate Set, Competition Bumper Plates, Training Bumper Plates and so on. Looking for ideal Three Handles Weight Plates Manufacturer & supplier ? We have a wide selection at great prices to help you get creative. 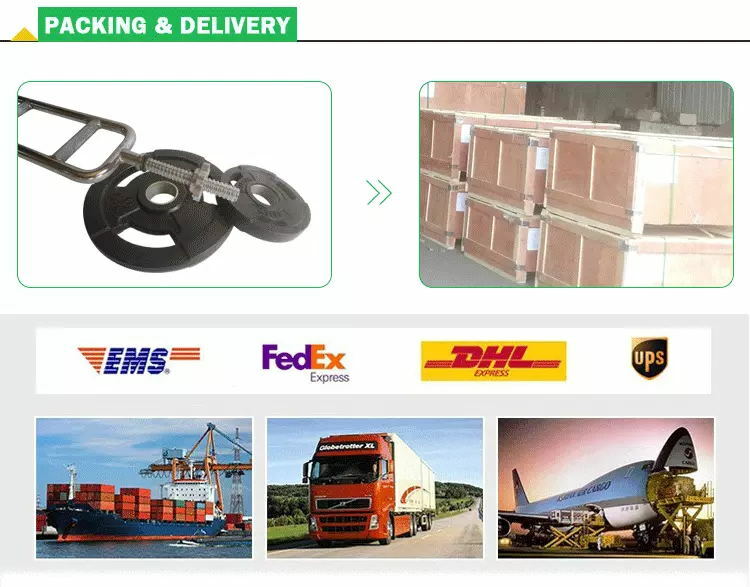 All the Three Handles Rubber Coated Weight Plates are quality guaranteed. 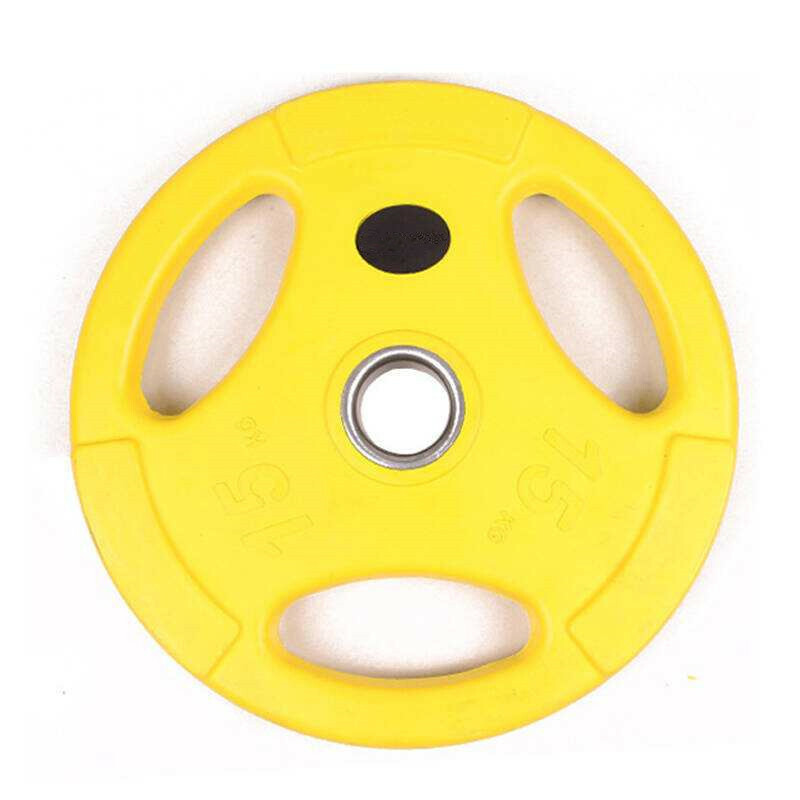 We are China Origin Factory of Coated Barbell Bumper Weight Plates. If you have any question, please feel free to contact us.